In the wake of official word breaking that Mark Wahlberg has signed on to headline the upcoming Transformers 4, director Michael Bay spoke with TMZ about the upcoming blockbuster, revealing that the new franchise entry will pick up four years after the events of Transformers: Dark of the Moon. You can listen to the full interview, which includes details about how Wahlberg’s casting came about, by clicking here. 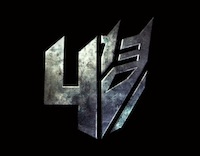 Transformers 4 will begin production in spring of 2013, targeting a June 27, 2014 release. The film will be produced by Don Murphy & Tom DeSanto, Lorenzo di Bonaventura and Ian Bryce, and executive produced by Steven Spielberg, Bay, Brian Goldner and Mark Vahradian.